Trea Iberia Equity is an actively managed Spanish equity fund, both in stock picking and in the percentage of investment, at least 75% of total exposure will be invested in equities. The goal of the fund is to identifies assets that are undervalued by the market but have a high upside, with the objective of biting the market (Ibex 35) consistently. The fund invests in high conviction ideas generated from macroeconomic environment, fundamental analysis and the proximity with the companies analysed. At least 20% of equity exposure could be invested in OECD countries (mainly in Portugal). Alfonso joined Trea AM at the end of November 2017 from Gesconsult where he spent his last 14 years, where he was the Investment Officer since 2004. 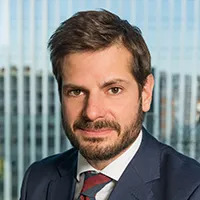 Apart from Co-Head of Equities, he will be responsible for Spanish Equity, where he has been recognised internationally in various ocassions as Best Fund Manager in Europe, as per Citywire 2012 recognition, as well as for the morning start recognition of the Spanish Equity Funds he has managed. Before working in the fund management industry, he worked at PWC. He holds a degree in Economics from the University of Salamanca. He spent his last year of the university at the Catholic University of Lovaina (Belgium). He also holds an MBA on Business Administration from the Instituto de Empresa (Madrid), with the specialisation for start ups. 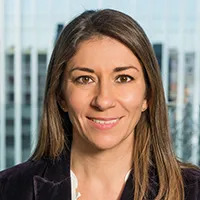 Lola joined Trea AM at the end of November 2017 from Gesconsult where she co-managed the Spanish Equity Funds together with Alfonso de Gregorio, the Investment Director, for the last 12 years. She had joined as a Spanish equity analyst becoming later on the Head of European equity research. For the last 8 years she had managed an European equity fund with multiple recognitions for he management. Lola holds a degree on Business Administration from the University of Cordoba (Spain), and an MBA form Universidad Pontificia de Comillas (ICADE) in Madrid.